There are certain accomplishments that can only be described as “singular.” These rarest of achievements are so fundamentally incredible as to be, or at least seem, unrepeatable. Fortunately, the cameras were rolling on June 3, 2017 when Alex Honnold secured his place in the rock climbing pantheon by scaling the 3,000-foot vertical face of Yosemite National Park’s legendary El Capitan without ropes or other safety equipment. His was the kind of physical trial with only two possible outcomes: Either he was perfect, or he was going to die. 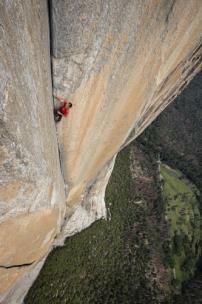 That day, Honnold was perfect. 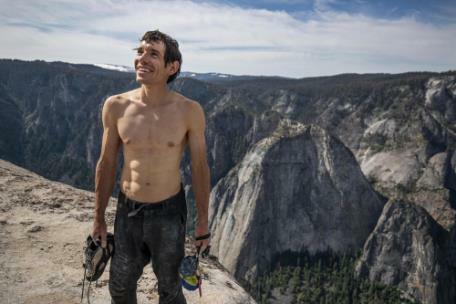 This daredevil feat of physical triumph may never be repeated, but thrill seekers who want to relive Honnold’s incredible achievement from the safety of solid ground can experience it — vicariously and without fear of serious injury — through the stunning National Geographic film Free Solo. Where better to witness such a grand physical achievement than on the six-story screen of the Tennessee Aquarium IMAX 3D Theater? Due to an incredible response, special screenings of Free Solo will be extended through February. This masterful documentary has already won 14 awards internationally and was recently nominated for Best Documentary Feature at the 91st Academy Awards, which will take place on Sunday, Feb. 24. Honnold’s epic accomplishment is expertly paired with Yosemite’s pristine, larger-than-life scenery by renowned adventure photographer, filmmaker and climber Jimmy Chin and his wife and co-director Elizabeth Chai Vasarhelyi. 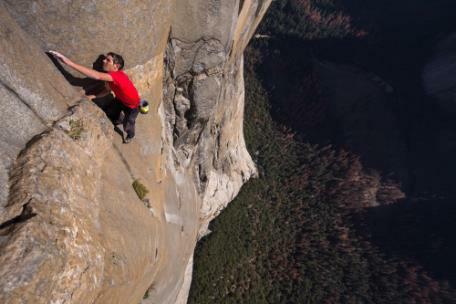 Viewers will thrill — and maybe squirm a bit — as Chin follows Honnold’s path up the cliff through sweeping panoramas that show the scale of the task and close ups that demonstrate the impossibly small projections he clung to on an otherwise sheer rock wall. Chin balances the excitement of the physical trial with an equal focus on the ground, documenting Honnold’s rigorous preparations, both mental and physical, as well as the anxious fear and pride of the loved ones watching him undertake a seemingly impossible challenge. Tickets to see Free Solo are $15.95 for adults and $12.95 for children (3-12). Weekend screenings during February are at 7 p.m. Friday and Saturday nights, and at 6 p.m. on Sundays.